If you were in the military, what kind of animal would you want to have as a mascot? Why? According to the article, military mascots often acted as soldiers' companions, boosting morale when times got tough. They also performed a wide range of duties on the battlefield. Which of these contributions do you think was most important? Why? According to the article, many military animals never received recognition for their hard work and dedication. In fact, it wasn't until historians began digitizing thousands of photos that the abundance of animals was even noted. Do you think it's important for people to know these animals' stories now? Why or why not? 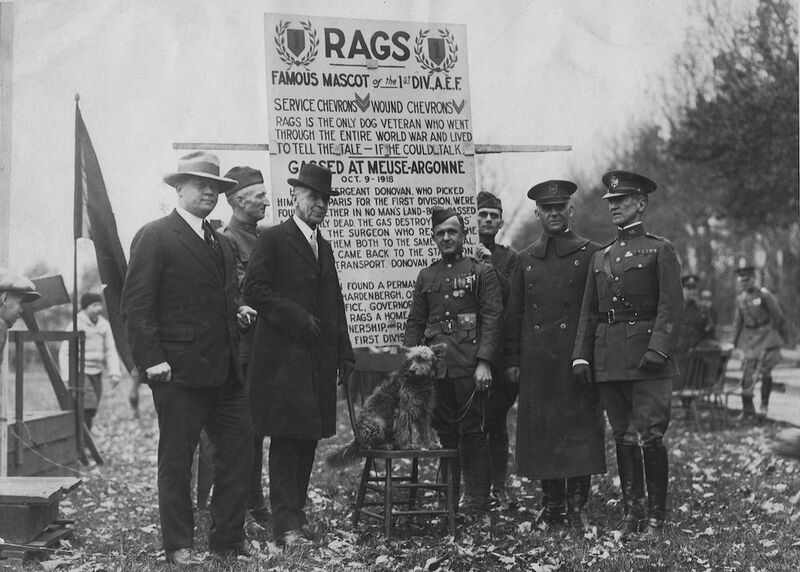 During World War I, a dog named Rags became a pivotal member of the First Division. He delivered messages, warned soldiers when shells were coming and even helped check the mines. Today, the military has technology that can do all of these things. Given that, do you think there is any reason for the military to continue to use service animals on the battlefield? Why or why not? Use this lesson from the Lemelson Center for the Study of Invention and Innovation to guide students as they explore monuments in our nation’s capital. Then encourage them to use their imagination and creativity to design and build a model of their own monument. They are studied in school and visited by millions. They are world-renowned symbols of our nation. But they are also shrouded in misinformation, mystery and mythology. How much do we really know about America’s greatest monuments? Watch these Smithsonian Channel videos to get a glimpse of the amazing stories they have to tell. In this History Explorer activity, the National Museum of American History takes elementary students on a digital field trip to learn more about the Pentagon’s memorial for September 11, 2001. Then they visit a local memorial. The National Mall is home to the history, heroes and hope of America. Encourage students to visit this site from the Trust for the National Mall to download an interactive map and timeline or learn about the memorials that make up America’s most visited national park. You can also learn how to use the National Mall as an outdoor classroom, whether visiting the Mall or exploring from home. One hundred years later, WWI will finally get a large-scale memorial in Washington, D.C. Read this Smithsonian article to learn more.